When you go reaching for snacks, do you tend to crave sweet or salty? Whichever you tend to lean towards, there are healthy, whole food ways to satisfy each end of the spectrum. It's important to put in the effort to set yourself up to eat smart. We're talking about quality of life here! If you're making the wrong food choices on a regular basis, it adds up. Maybe your weight starts creeping up or your energy starts nosediving down; in the not so distant future, you might see your health compromised. The good news is that loving food doesn't have to negatively impact your health, and in fact, it can end up benefiting you. You just want to make sure that you're enjoying foods that both satisfy your tastebuds and nourish your body. 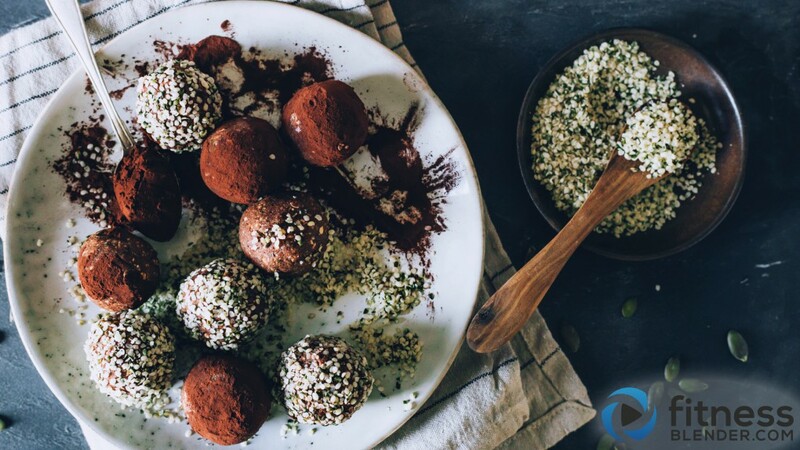 1 Raw protein power chocolate truffles - Did you know that chocolate is routinely the number one most craved food? Luckily, when eaten in the right form it offers antioxidants, and a whole bunch of health benefits - everything from improved circulation and mood to lowering the chance of developing cardiovascular disease. These are raw, easy to make & a good source of plant proteins. 2 Chocolatey vegan brownies: Gluten free brownie recipe - Gooey, chocolatey, hot brownies with no weird ingredients? Sign me up. 3 Yogurt and fresh fruit parfait - This falls under dessert because it's on the sweet side, but I often end up eating this as a breakfast or even a second dinner (wait - two dinners a night is normal, right? Moving on..). You can top it off with basically any fresh fruit of your choice & there are many different great tasting healthy fats that you can top it with to make a more hearty snack or meal. 4 Oatmeal Cookies Oatmeal cookies have been around for ages, but there's something about the flavor combination of honey and coconut oil that makes these particularly tasty. Good luck having any cookies left by the time they've cooled. If you like cold cereal, you should also try this Oatmeal Cookie Granola. It's way cheaper than store brands and you'll know exactly what's in it. 5 Chocolate layered overnight oats with berries - Waking up with your breakfast already made and waiting for you may be one of the highest levels of adulting. It definitely helps you feel more pulled together on an otherwise hectic morning and this recipe even travels well, if you like to eat breakfast at work. 6 Healthy banana oat breakfast bars - Our audience loved these nutrient dense breakfast bars that are easy to grab & go. The combo of chia seeds, oats, nuts and seeds is very filling. You can make these homemade energy bars more indulgent by adding dark chocolate. 7 5 Minute mango applesauce - This is so easy and so tasty. It's as simple as blending up some of your favorite fruits. The mango apple combination is really nice, but even a bowl of one of the other is great with a little cinnamon sprinkled on top. A great whole foods, unprocessed dessert option for when you want something sweet. If you love apples, you should also try this toasted apple cinnamon and oats cereal that could pass for a dessert. 8 Blueberry-banana and cacao smoothie bowl - Smoothies are so much fun to experiment with; the flavor combinations are nearly endless. This one is one of my favorites. 9 Cinnamon baked pears with yogurt - This can be eaten fresh or made in advance, and will be an instant favorite for adults and kids alike. The fruit is baked with cinnamon and a hint of honey, creating a tender treat that tastes similar to a pie. 10 All Natural Quinoa Protein Energy Bars - Another great grab and go snack that tastes like a dessert. These chocolate covered protein bars will help you fight off hunger in between meals, or they make for a healthy snack after dinner. Have you tried any of these recipes, and if so, which is your favorite? What do you guys usually reach for when you're craving something sweet or looking for a healthy dessert option to serve? Share your ideas and tips below!